I thought it about time I wrote some more in my blog. Looking back on my past entries I notice that there are some gaps which I intend filling here. 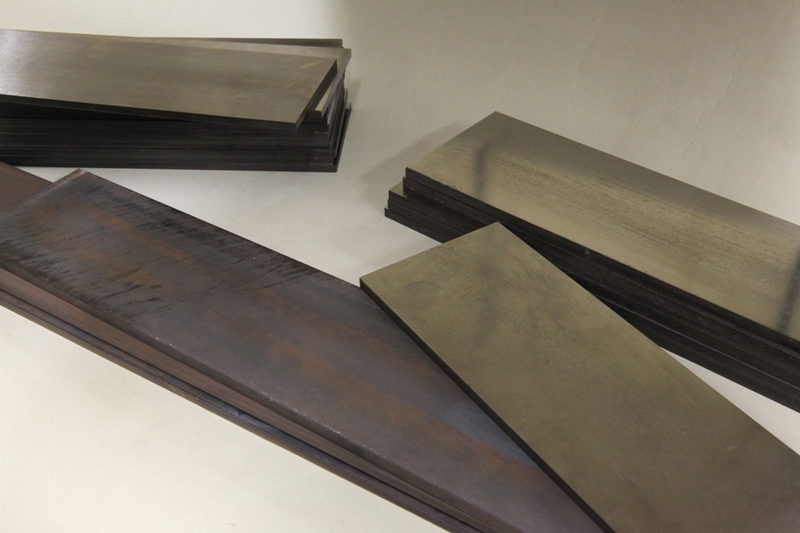 At the beginning of any project the metal is a good place to start (after design and drawings are done of course). 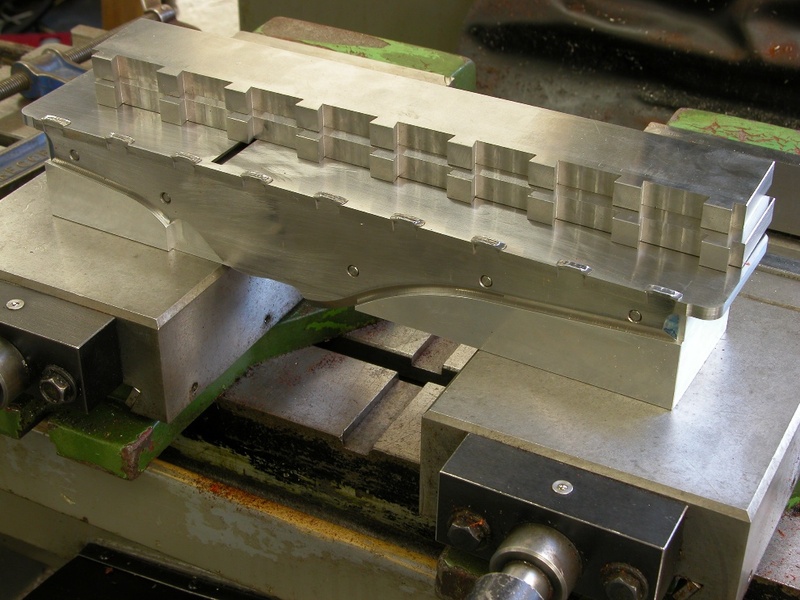 In all my classic designs I use mild steel – I have tried it in several different forms; hot rolled (which is very good and has little stress in but comes with a lot of scale to deal with), BMS (which is nice and clean but has a lot of stress in it), sheet metal (which still has a difficult scale to deal with and some stress). Stainless steel would be my favourite choice, but not on the classic type of planes. 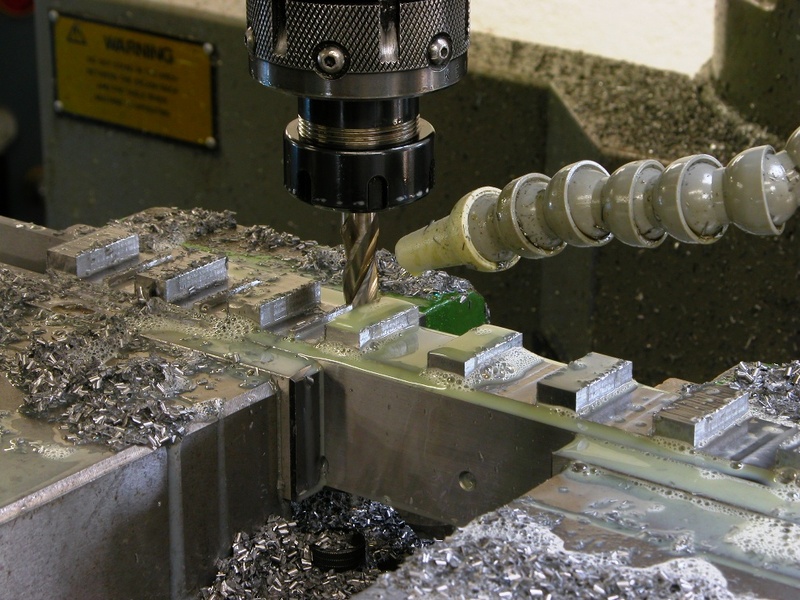 I therefore choose mild steel as this is a nice ductile material once the stress problems have been dealt with. To relief the stress I have to cut it to manageable sizes and send it off for heat treatment. 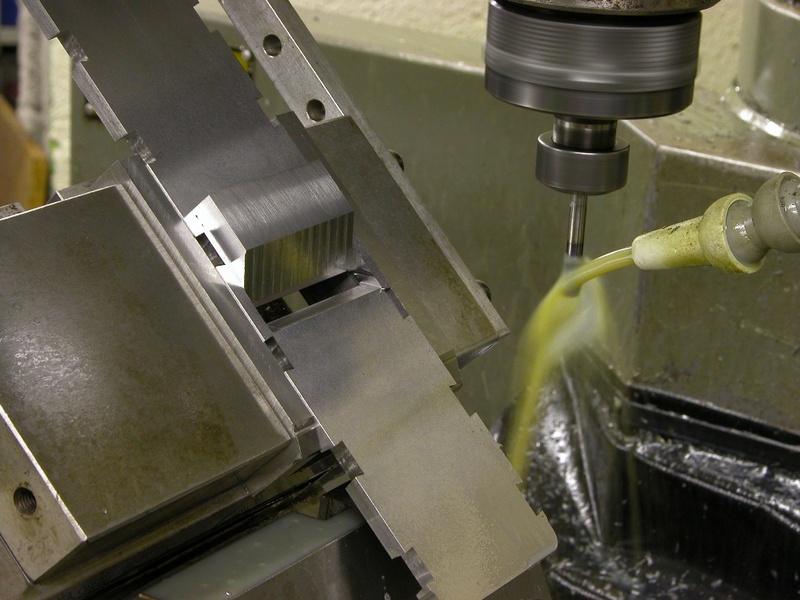 This picture shows the material in two stages – after heat treatment and some after surface grinding. 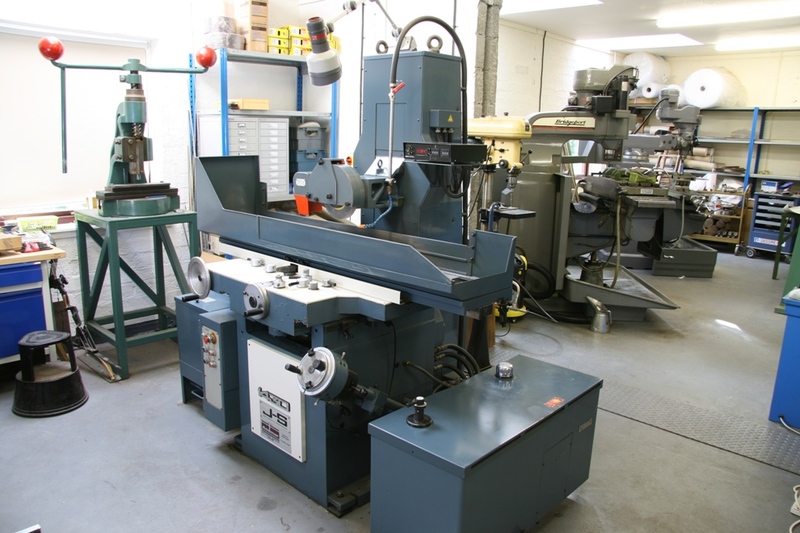 As you can see from the picture my grinding machine is a Jones and Shipman 1430. It was made in the ‘60s and it has been reconditioned by Andmar who are more ‘Jones and Shipman’ than the company themselves. It has been the main stay of my workshop since I purchased it 10 years ago as all my work including tool making passes through here. 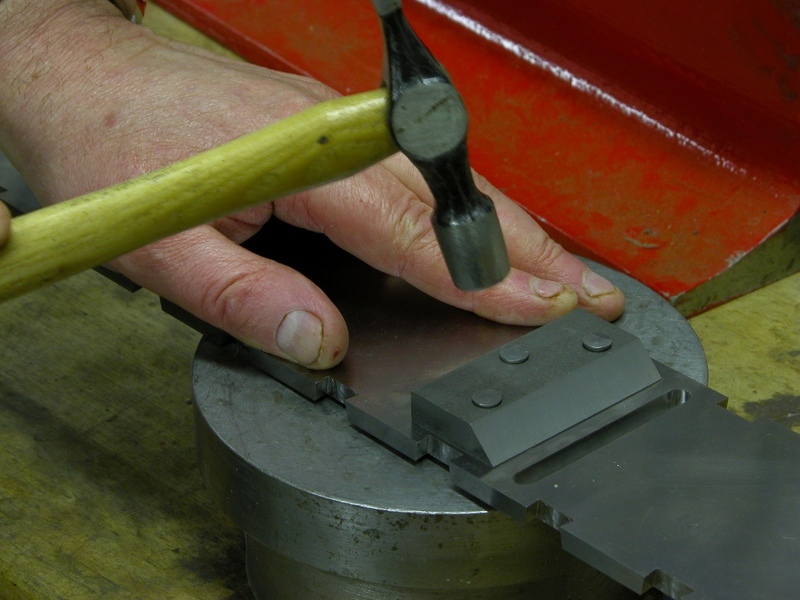 That is every jig and every piece of work holding (as well as plane components). It sets the standard for all my work. 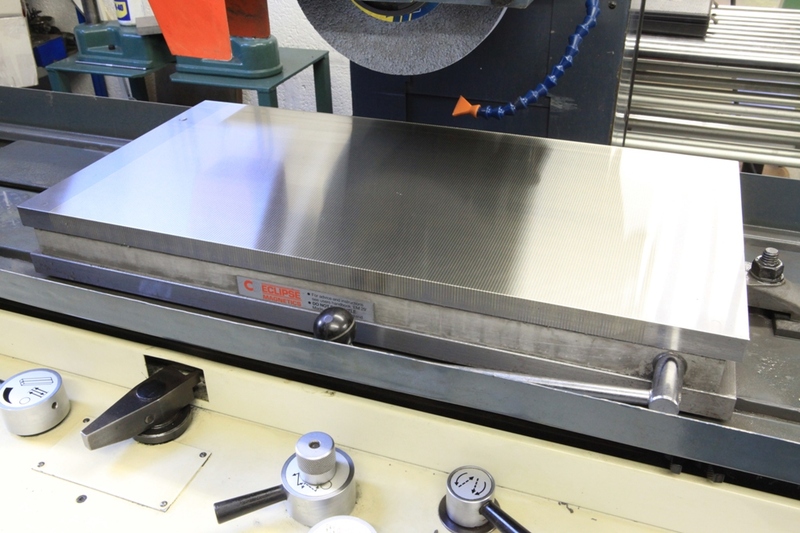 This surface grinder uses a 24” x 12” Eclipse magnetic chuck which needs re-surfacing every 12 months. This can take up the best part of a day. The nice true surface is so good I just had to photograph it (sad isn’t it!). My current project is A1 14 ½” Panel planes. I have documented this before (use this link http://www.toolworkshop.co.uk/blogarchive/) so I am just putting a few pictures to look at.